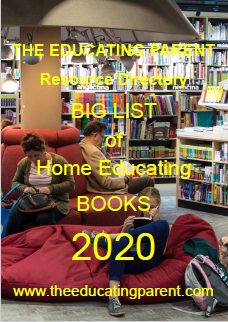 While homeschooling typically has no "disadvantages" for those committed to its success, lack of space and funds can make it difficult to organize your home into an effective learning centre. 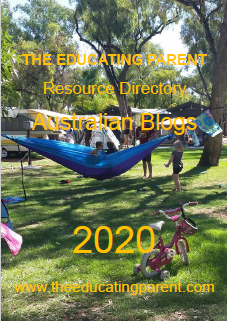 Most of us rely on one income, and so far in Australia there isn't any funding available from the government to home educate. By necessity we're frugal, saving where we can and recycling as much as possible. This doesn't stop us from being able to create highly effective learning resource centres in you homes. 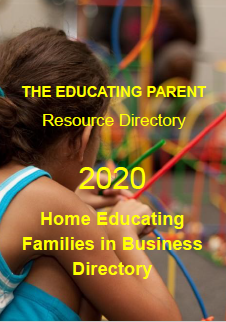 The first thing you must decide is where in your home you will locate your educational resource centre. Some families dedicate a spare room to homeschooling, but most of us tend to use the living area for most of our activities. Our home is open plan and that was wonderful. We used a corner of the living room for our learning centre and had low shelves along one of the walls under the windows. If you do have a spare room, you can turn it into a learning resource centre where you children do the bulk of their study or activities, or use as a store room or library - an option that I think is a brilliant idea and could almost be considered essential in the homeschool! Ultimately, the idea is to get all your learning materials organised in a central location. 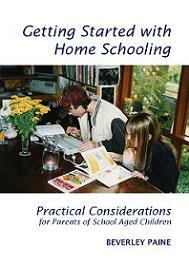 Organisation is often quoted as the key to successful homeschooling. Having one space in which to keep everything related to learning doesn't mean this is the only room your children will spend time in during the day: it simply means that everyone will know where to find the paperclips, cardboard, glue, glitter, workbooks, dictionary - all the educational paraphanalia and art/craft/science materials we collect and use. Nothing is more frustrating than to spend half an hour or more looking for the stickytape! Or being unable to put your hand on the very thing you need to help explain or demonstrate a concept. 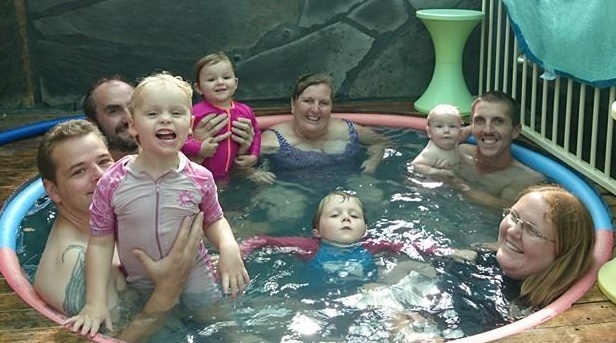 Many homeschoolers consider the most important element of the homeschooling resource centre to be books, but we found this to be limiting: education and learning is wholistic and involves learning with the body as well as the eyes! our learning centre had shelves for puzzles, games, toys, dramatic role play props, art and craft materials, maths aids, and science equipment. We even had an extensive natural history collection. This isn't to say we didn't have our own comprehensive library, especially in the pre-computer days when the Internet was still in its infancy. We had bookshelves full of children's picture books and novels, non-fiction shelves, encyclopedias and other reference materials, as well as our favourite 'grown up' books - novels, gardening, building, craft books, etc. We also saw the public library as an extension of our homeschooling learning resource centre. Our weekly trip to the library would swell the number of books in our house. Our local library allowed us to borrow up to ten books on each card, which often meant we'd bring up to fifty books home! The library also leant videos and audio tapes. Many of my friends took advantage of the toy library too. The consenus of opinion was that such extensive borrowing habits were easier to manage if a separate bookshelf or several library boxes were kept in a designated area in the learning centre or by the front door. That way we avoided library fines or embarrassment! As good as libraries are I often found them limited in the range of materials and subjects on offer, and our local library rarely had books that covered the information to the depth we wanted. 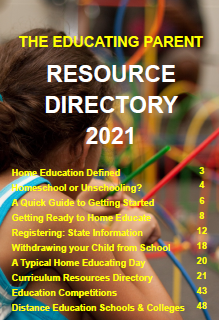 Homeschoolers often find their research needs go beyond what is normally accepted or required by schools. Access to the Internet is a real boon, but nothing beats being able to lay one's hand on a reference book when interest peaks and the children are ready to soak up the information. Book shelves. Building your own bookshelves can be a great homeschool project! Ask at the Salvation Army or St Vincent De Paul shops, or check secondhand office shops. Think about using recycled materials creatively - sturdy cardboard boxes, planks, bricks... Many stores throw away old display shelves or pallets that are perfectly usable with a little creative thinking and technical know-how. Desks, tables, tops of bookshelves. You will need spaces to work on as well as display finished work, or to store while you use the table top for other activities. Don't use the dining room table - I used to tell people that this was a good idea. I've changed my mind: making each meal a special together time, where nurturing your body is uppermost in your mind, sets an excellent attitude to health for life. Having a special place just for eating is a great way to instil the love of good food in your children. Snacks in the learning centre are okay. Water should be available all the time as it refreshes the brain and keeps it ticking over in optimal learning condition. Pencils, pens, paper and notebooks. Watch for clearance sales on essential supplies after the back-to-school rush is over. Often, you can find real bargains, so stock up when the price is right. Measuring devices . Tape measures, rulers, and yard sticks. These can often be acquired from relatives who have extras, and some companies, such as insurance companies and banks, offer these as promotional materials. Atlas, maps and a globe. Check with travel agents and tourist agencies for free maps. Art and craft supplies. Once again, keep an eye on the 'cheap' shops and take advantage of specials whenever you can. We found the Reversed Garbage recycle shop a real boon. Ask relatives to buy quality art and craft materials instead of toys as presents. Collect natural items from the garden or when out walking. Butcher paper makes excellent drawing and painting paper. Save old newspapers for drop cloths during finger painting. Be sure to include different kinds of cardboard and construction paper in your art section, and save scrap pieces for other projects that need coloured "sprinkles." We also had a comprehensive yarn and material scraps box, with all manner of sewing needs, as well as playdough, sculpting tools, leatherwork... Anticipate your need, or use good art and craft books to help you formulate a list of materials you may need. Often children just need access to these materials to come up with ideas and activities of their own. Calculator, protractor, compass. 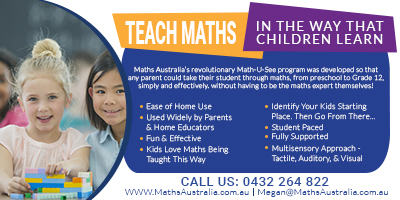 And any other tool or aid that will help the children think and work mathematically and technically. Use these often when you're doing art and craft or model building, to demonstrate their use and to familiarise the children with them. Computer and Internet service. Some families base their whole learning program around the computer and Internet and it's possible, but children need time to jump, run, build and generally goof off as well. A couple of hours a day is enough for anyone - especially if you have a regular rather than LCD monitor. The radiation from these screens is unhealthy and put together with television viewing means children are often at risk of long term health problems. Using computers - for games, research, study or fun, or for communicating with friends, teach children computer skills, which have been essential to most careers. We live in a digital age and our children need to be familiar and proficient with the technology. 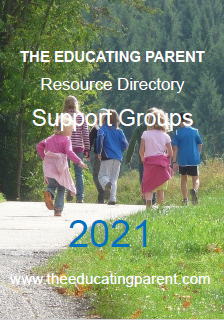 Until I felt confident my children had the necessary skills to avoid unpleasant sites or that the 'nanny' programs were effective, I kept an eye on my children's web-surfing activity, and talked to them about their chat room and forum discussions: that is, I took an active interest which allayed the need to prohibit activity and built respect and trust. it's important to keep the Internet safe for your kids. This will mean becoming familiar with and using virus scan, firewall and spybot programs. Microscope and Telescope and other science gadgets. These are often high price ticket items and make great presents from relatives. You could start or join a homeschooling group library for gear like this, and roster use of materials if necessary. The general advice is don't skimp. Buy science equipment that will encourage them to explore, examine and investigate their world. The same goes for art materials, especially for budding artists. Chemistry sets, electronic sets, and robot sets are also must have items. Learning games. There are zillons of games that teach, whether their intention is education or pure fun. Make games an every day activity and play with your children often. The opportunities for extending knowledge and skills in all subject areas often crops up unexpectedly. Garage sales, sales, secondhand shops, recycle yards, oppurtunity shops and even the local tip are great places to find materials you can use in your learning resource centre. Be open minded and inventive: Robin found heavy duty magnets in discarded microwave ovens at the tip, and very large lenses in thrown out street lights. These were put to good use by our children. Let your friends and family know that you're on the hunt for interesting materials for your homeschool! You will be surprised how many useful items they will be glad to get off their hands. One man's trash is another man's treasure! A home learning resource centre encourages kids to stay active with their education and explore their learning options. A little creative and frugal thinking can go a long way in building a resource centre where everyone benefits.